Skilfully-carved Iberian presa (shoulder cut). Delicious. 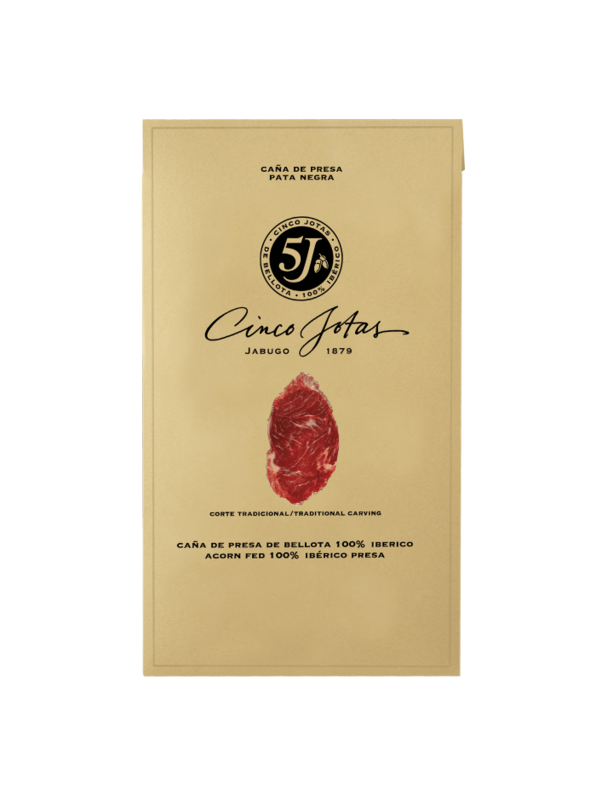 Cinco Jotas acorn-fed 100% ibérico presa in packets of 70 g is one of the great delicacies of Cinco Jotas. Acorn-fed 100% ibérico presa, or cured shoulder cut, comes in convenient packets of 70 g each to enjoy at any time. Handcrafted in Jabugo by artisan experts, this cured meat is made from a cut located between the top of the shoulder and the loin. Crafted according to age-old traditions passed down from generation to generation, this luxury treat is of exceptionally high quality. The high levels of muscular marbling, a primary determination of quality grade, result in exceptional flavour, tenderness and juiciness, much like all acorn-fed 100% ibérico ham from Cinco Jotas.